The heavy rain from Alberto could leave some streets in Loxahatchee underwater. 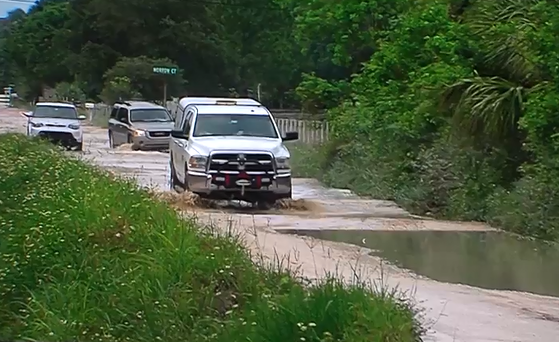 Several roads were still flooded after last weekend’s rain. Aaron Joyce said his land still have several feet of water even after days of no rain. “Everyone out here is truly on pins and needles,” said Joyce. He said he made sure all of his animals are in dry conditions but several of the farmers in the area have cows stuck in flooded fields. He said the roads become an issue when it rains and the canals are already so full any more rain would overflow all of them and cause even more problems. “If they don’t continue to pump even after that, we are going to be up in our houses,” he said. Joyce said he is prepared if he get’s stuck at home, but he is also prepared to leave if he has to.